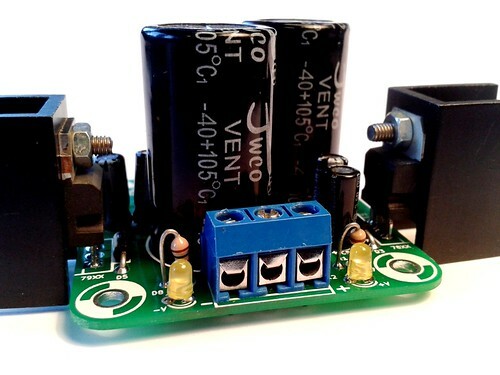 And for US makers, check this one: AC to AC Wall Adapter Transformer 12 Volt @ 1000mA on Jameco. Oops, the silkscreen for the negative rail LED is reversed. But don't worry, you just need to flip the LED. 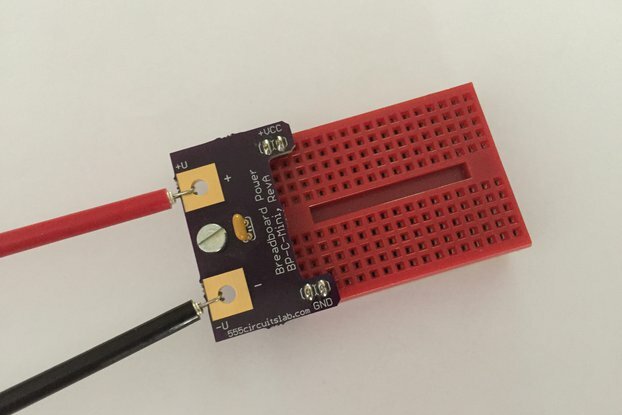 Silkscreen for the negative rail LED is now correct. What's Mini Dual Power Supply? 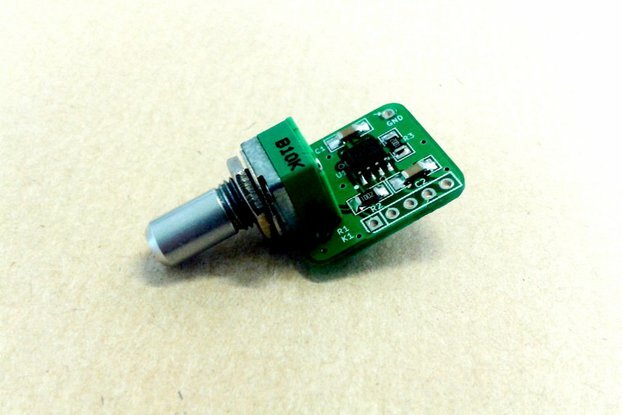 This is your Synth’s small linear filtered and regulated Dual Power Supply, from a simple AC (Wall Wart) adapter. 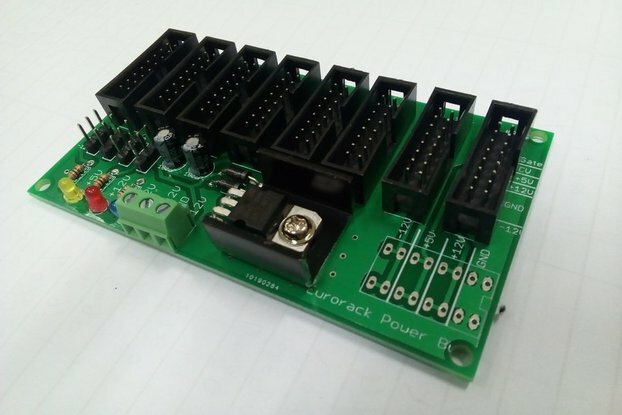 It's able to deliver positive and negative voltages (+12V and -12V for example) on its output if you supply an AC voltage on its input connector. 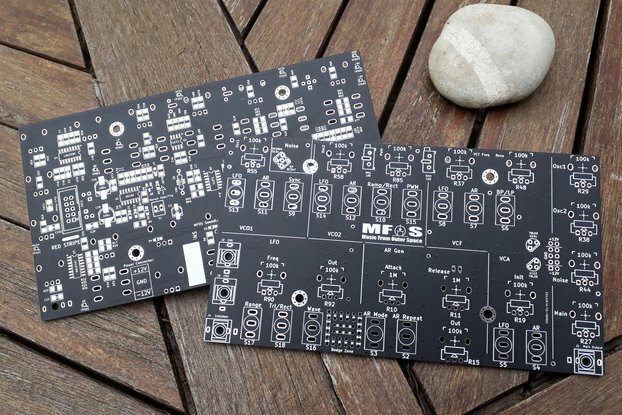 It's a good choice for your small Eurorack skiff, your MFOS SoundLab MiniSynth, your LushOne or any op-amp project that needs a dual and symetrical power supply. 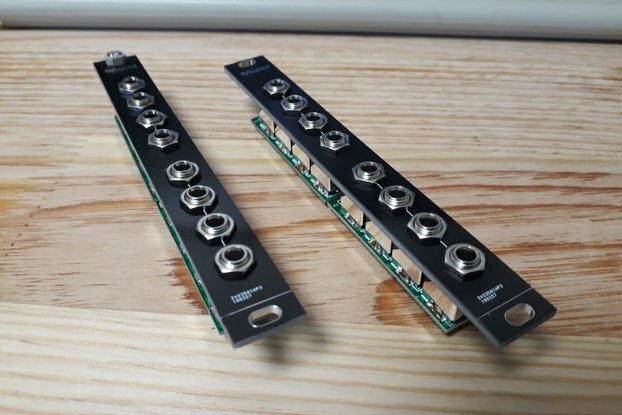 For your Eurorack synth, please have a look to the "Eurorack compact power bus" in my other items. No heatsink is provided. Heat sinking is very important if you need more than 100 mA output. You'll need to insulate the heat sinks with proper heat sink insulation kits (plastic screws and nuts or washers and mica foil). 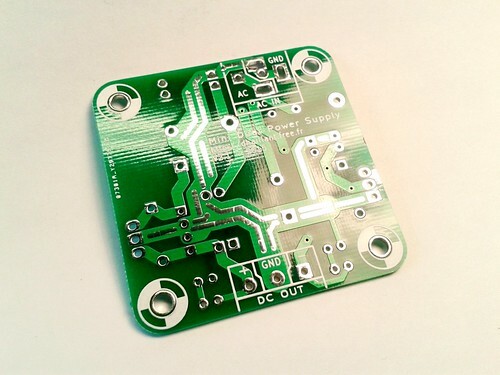 The max output current will depend on heatsink and ambient temperature in the case. But consider carefully that this power supply is unable to provide more than 500 mA. 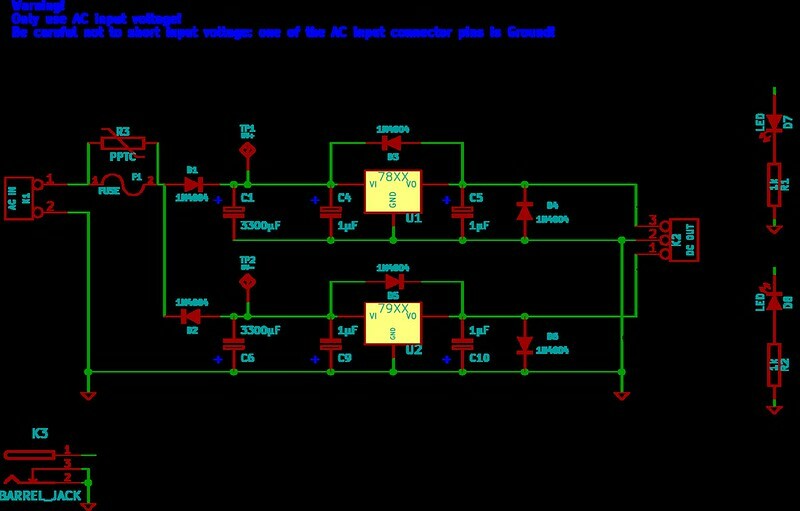 The reason why you cannot draw a huge amount of current is the design's topology. It's a half wave rectifier. That means only half of the input wave is kept on each rail. The missing half wave is compensated by the reservoir capacitor (C1 and C6). 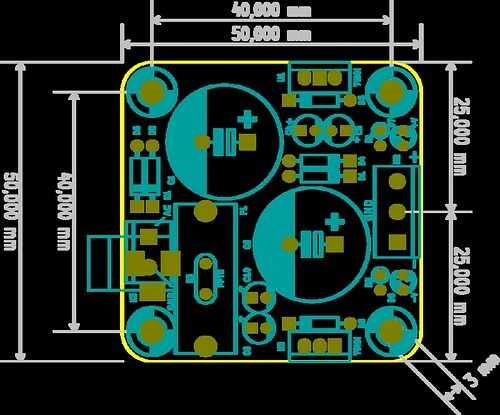 As capacitors have limitations on the current they can deliver, chances are you will encounter some ripple at the output. 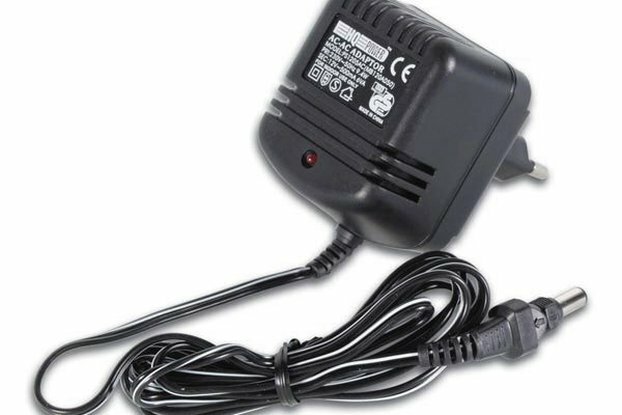 To be safe, use this power supply in low power systems only. Do not use DC Wall Wart. Use only AC output plug pack. DC will supply only one rail (positive or negative). Input type: 2.1mm Barrel Jack. There's no input polarity. For the PCB Only: Well... it's PCB only! However, components are standards and easy to find. No problem whatsoever! 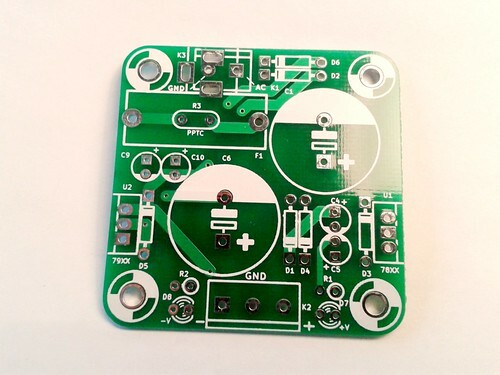 For the Kit version: One PCB and the components on the pictures are provided. Nothing less, nothing more. 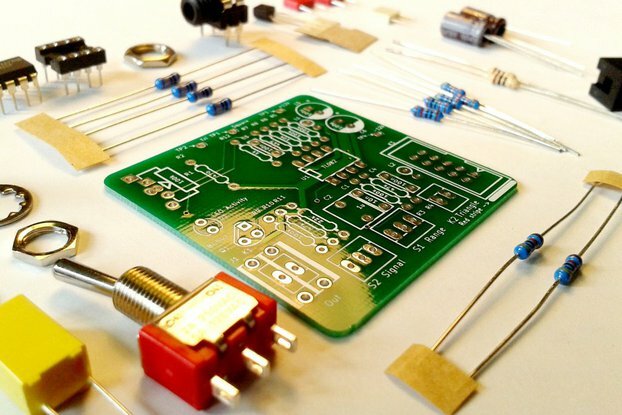 You have to build it yourself (it's DIY!). No heat sink provided. 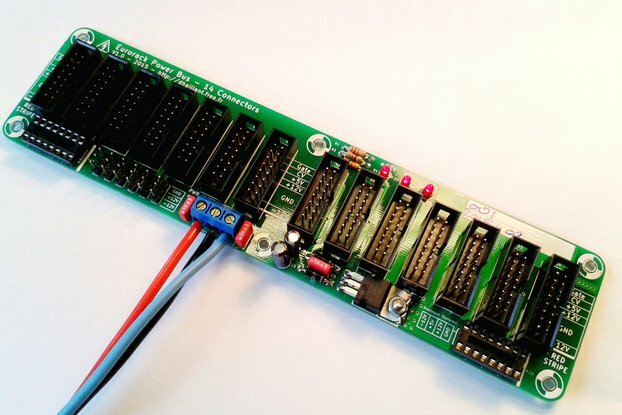 For the fully assembled version: A complete and tested module, with all components soldered. No heat sink provided. Several options are available. 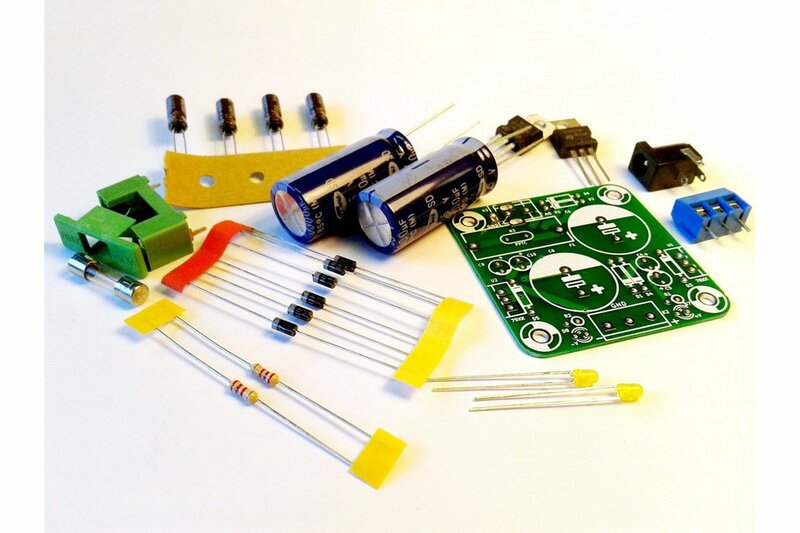 +9V / -9V is a good choice for numbers of small projects and guitar effects, including some MFOS products. 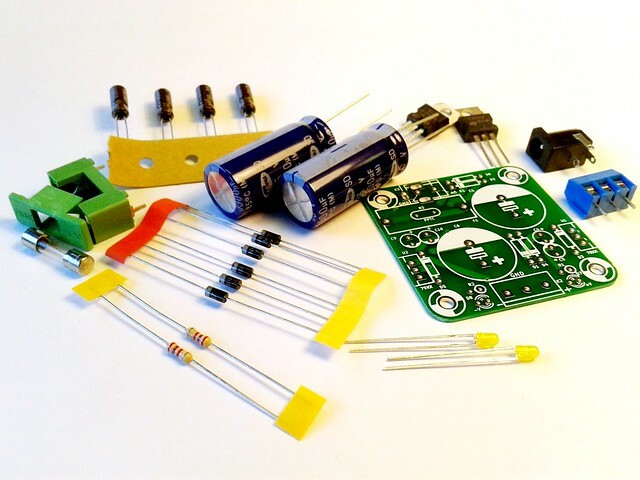 +12V / -12V is what you need for any Eurorack Modular Synth module. 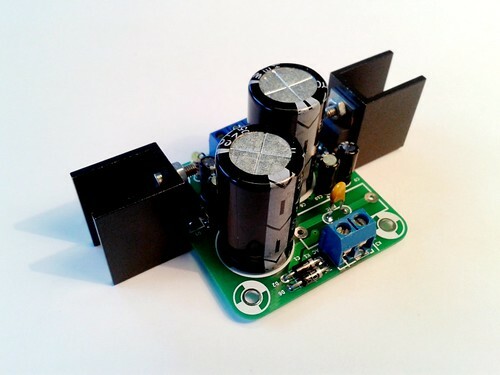 Be careful: some modules also need a separate +5V rail and it's not available with this power supply. Check my blog! Updates, tips, building guides, more products! 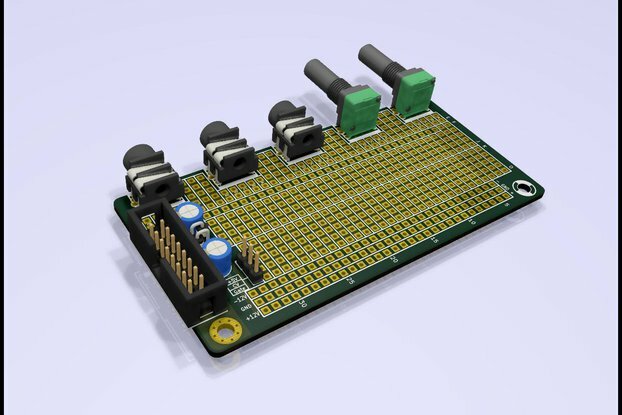 I'm relatively new to electronics DIY. I was able to follow the instructions and put it together successfully. 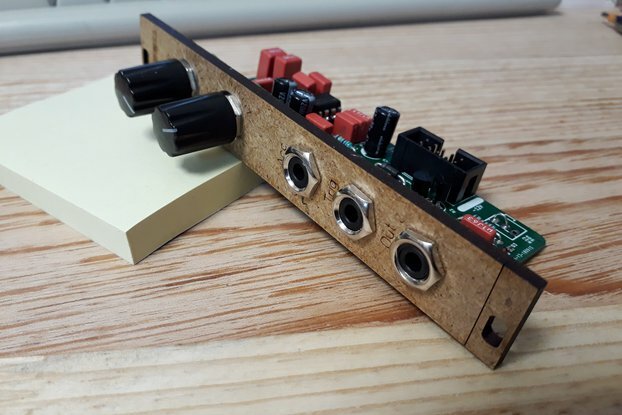 This is the perfect solution for replacing the 9v batteries in my MFOS Mini Sound Lab. 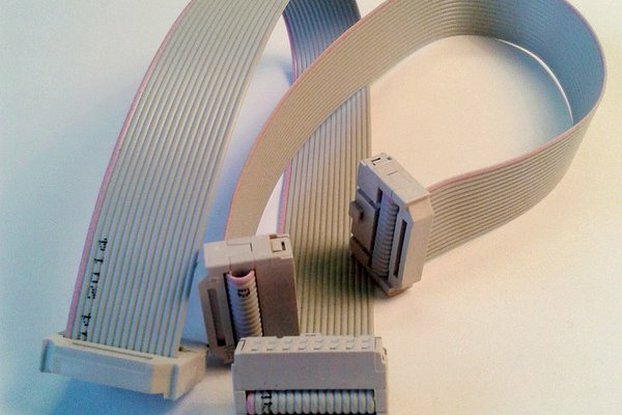 It's a great design which is really compact and with attention to details such as an LED for each rail as well as test points. Great customer service too - a slight hiccup on the delivery was rectified in one message - a no nonsense merchant gets my vote every time! This power supply works very well. The seller went above and beyond to make sure I got what I needed. Simple to put together and works great! I made a small modular skiff, with only a few modules. I needed a small power supply and this fit the bill. Simple to put together and has a very low parts count.